Searching for a job or internship can be a stressful experience. 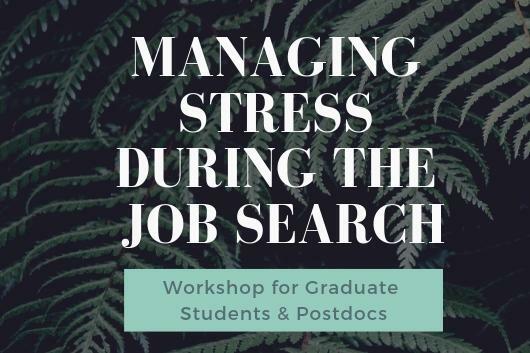 In this workshop, learn techniques for managing stress and how to apply those techniques throughout the job search process. This event is co-sponsored by Duke Career Center, CAPS, The Wellness Center, The Graduate School, and The Office of Postdoctoral Services.